In 1995, South Carolina's General Assembly determined that since tea is the "world's most popular beverage" – besides water, of course – it should serve as the state hospitality beverage. Act Number 31 was soon ratified, making this an official symbol of our state. Tea was first brought to North America in 1799 by famed French botanist André Michaux. A gift for future governor Henry Middleton, owner of Middleton Barony in Dorchester County, the plant was grown solely as an ornamental and its leaves were never brewed. Since then, however, the coastal region of South Carolina has proven to be ideal for harvesting tea. One area in particular features the tropical climate and sandy soil best suited for tea growth. Wadmalaw Island is located just south of Charleston and is the home of "America's Only Tea Garden," the Charleston Tea Plantation. 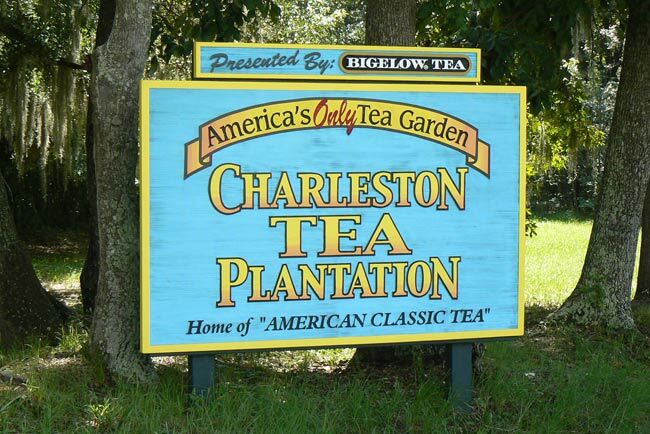 Owned in part by R. C. Bigelow & Company, this modern plantation boasts 127 acres and 320 varieties of tea.